Social influencers represent a golden opportunity for charities who want to build awareness of their work and impact. In the first in our new series of white papers, our head of community and not-for-profit, Alex Goldup, gives some straightforward advice to help charities find and work successfully with social influencers on Instagram, Facebook and other social platforms. How should charities approach social influencers? How can they get the most out of the relationship? What are the possible pitfalls and how should these be managed? 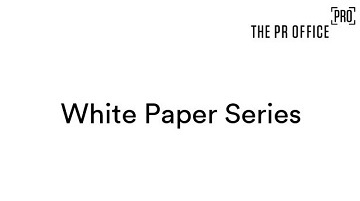 Find out the answers to these questions and more by downloading our free white paper today.